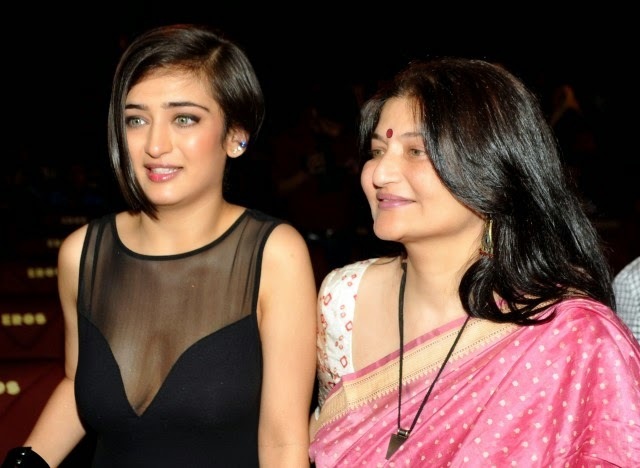 Sarika, the former wife of Kamal Haasan and mom of two beauty actresses Shruti Haasan and Akshara Haasan, excited about her younger daughter Akshara, that she is very strong and bold. She said, "I tell her not to carry baggage of any kind just because she is the youngest and there are three people from the family before her who are already acting. Now, the spotlight should be on her. We want to take a step back." "After being an assistant director and then dabbling in advertising, one day, she said she wanted to become an actor. It took some time for her to make up her mind and I was very comfortable in giving her that time," she says. "Akshara shares a lot with me and is very expressive. Her approach towards things is different. She is versatile and fearless. She doesn't care how she looks, which can be an advantage for her director. Even I was like that. Actresses should understand that sometimes, looking bad is beautiful. She is hearing scripts and the more different and dark the role is, the more she is attracted to it."